In the turmoil of 2011, an American college administrator and a German socio-economics expert attempt to rectify the past to save their children and preserve the fragile world in crisis. My Review: Two broken people, harboring their own secrets, entangled in a love affair spanning decades reconnect in the town where they met years prior. The theft of a priceless ring creates an international plot of intrigue and suspense. The conspiracy to tear apart the European Union, blackmail, and espionage leave them racing for their lives. 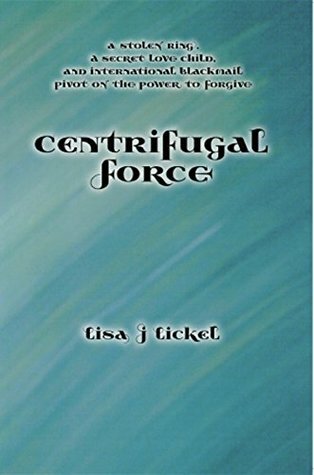 Ms. Lickel writes a profound and compelling story which is hard to put down. I thoroughly recommend this novel which is slightly different from the author’s other endeavors. The plot is well thought out with underlying stories and a tremendous amount of political and historical research. Centrifugal Force is the best of the best. 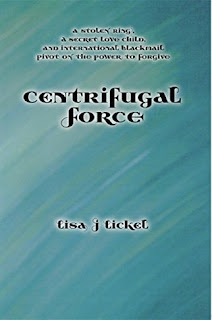 Lisa Lickel lives in the rolling hills of western Wisconsin. Surrounded by books and dragons, she writes inspiring fiction. Her novels include mystery and romance, all with a twist of grace. 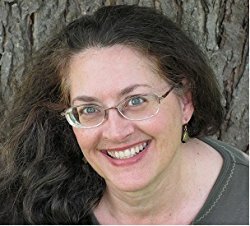 She writes short stories and radio theater, is an avid book #reviewer and #reader, writing mentor, workshop leader, freelance #editor, and blogger. She loves to encourage new #authors and is a member of Chicago Writers Association and Novel-in-Progress Bookcamp & Writers Retreat. Find more at LisaLickel.com.